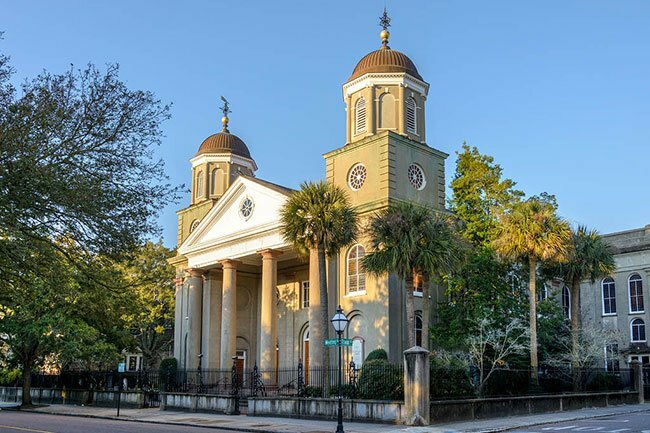 First Scots Presbyterian is the fifth oldest congregation in Charleston. It was formed in 1731 when 12 Scottish families withdrew from the Independent Meeting House (now the Circular Congregational Church) to worship and govern themselves according to the Church of Scotland. The current church was built in 1814. 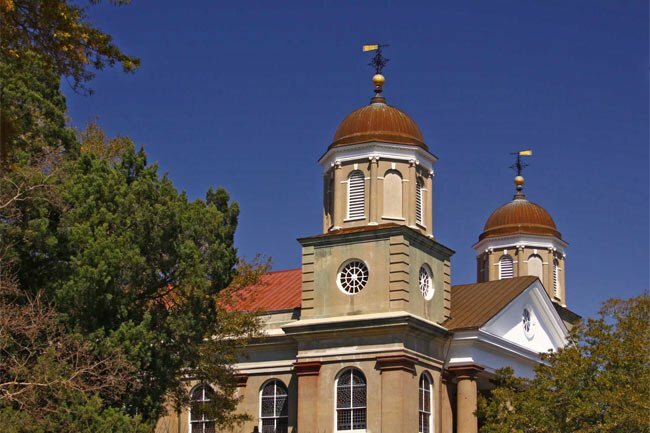 Its stucco covered brick walls are three feet thick. Twin towers rise above a columned portico and the stained glass window over the main entrance displays the Seal of Scotland. In the early days, the church had the unique custom of requiring a special token to gain admission to Communion. 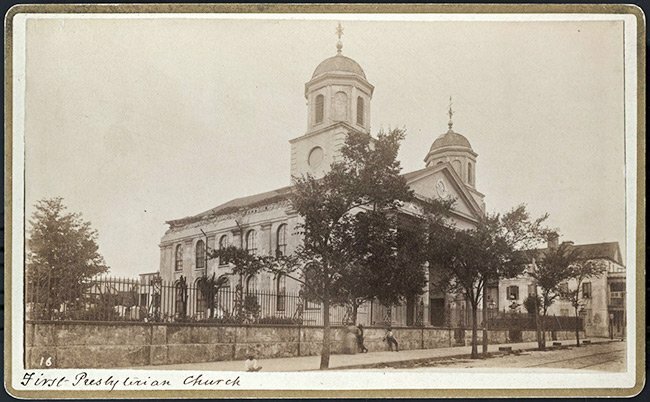 The church was badly damaged during the 1886 earthquake as well as in a hurricane the following year. Generous assistance from Presbyterian churches from the North helped rebuild First Scots and other affected Presbyterian churches. Scottish Heritage Sunday is observed each September with kilts, bagpipes, and the Kirkin’ o’ th’ Tartan – a ceremony where clan representatives carry lengths (or flags) of tartans forward to the altar and the pastor offers a blessing. The image seen below was taken by George Cook. Cook was a photographer based in Charleston who became famous for his images taken after the Great Earthquake of 1886. Searching for the grave of David Franklin Alexander who was chairman of the vestory of a Church in Charleston.